The CORD demonstrations against IEBC planned for today has taken new twist after rumours that the feared Mungiki had been hired to disrupt the proceeding today. 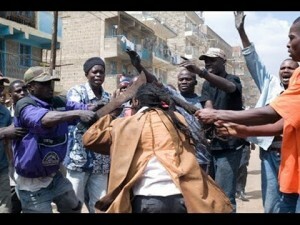 CORD principals insisted the demonstrations will be peaceful and urged the police to provide law and order not violence. CORD co-principal Kalonzo Musyoka named three Jubilee politicians who he alleged were mobilizing goons to spark off civil war on the streets of Nairobi tomorrow. The former Vice President named Starehe MP Maina Kamanda, Gatundu South MP Moses Kuria and Dagoretti South MP Dennis Waweru, accusing them of plotting to incite violence during tomorrow’s planned protests against IEBC. 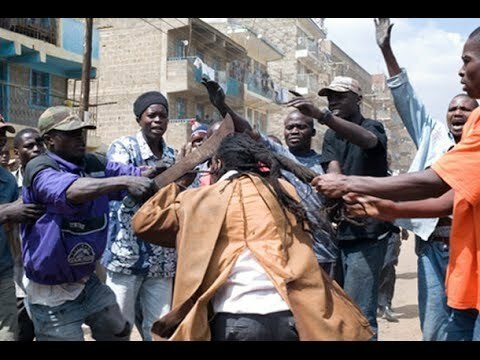 Mungiki is a banned ethnic organization in Kenya. The name means “A united people” or “multitude” in the Kikuyu language. The religion, which apparently originated in the late 1980s, is secretive and bears some similarity to mystery religions. PHOTOS OF PASTOR KANYARI EXPENSIVE CAR RANGE ROVER!HEISH!